Pros : Hippie-love is still a thing. Nice size for pendants. Other Thoughts : Really nice with some of the dichroics. Be careful to not overfill. Pros : I have enjoyed making the peace signs. I have used small scraps of glass in mixed colors to creat cool peace signs. Pros : Good peace sign image. I've used the mold successfully twice so far, coated with MR-97. Cons : Creates a massive,large to wear piece. I calculated 24 grams for a sturdy piece. Less seems too thin to be a durable piece of wearable art. Other Thoughts : Fill weight info would have been nice. Happy to provide my own to the community. 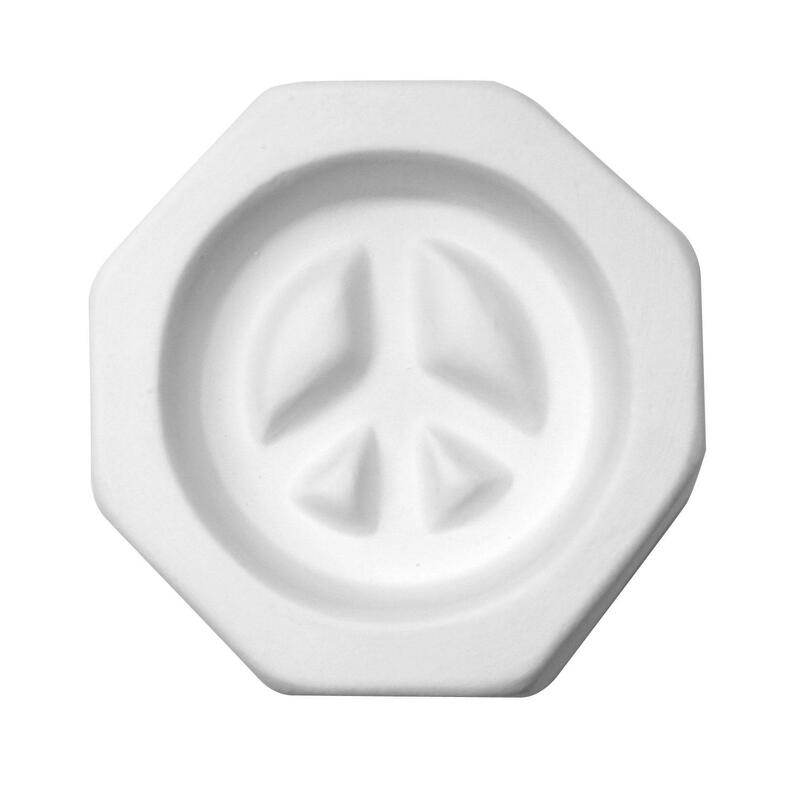 Pros : Good size and really comes out looking like a peace sign. Cons : I struggled to get it out without breaking the glass or the mold. May be my fault because the pictures on line looked weak to me so I used a lot of glass and frit. Mine is a sturdy peice. Other Thoughts : I would buy it again.